underwriting for coverage above $250,000. waives the premium if the owner dies in an accident4. 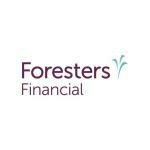 offered by Foresters Asset Management Inc.
effect and no material change is made to the policy. contact Foresters if you have any questions. limitations and may be changed or canceled without notice.